Located in Tan Hop Commune, Huong Hoa District, Quang Tri Province, Ta Con Airport Relic is a demonstration of the Vietnamese people’s desire for unification of the country. 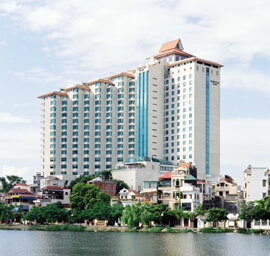 Luxury hotels in Hanoi are forecast to be subject to fiercer competition in the coming time. Tourists to Hoi An ancient town, in the central Quang Nam province now have another option besides normal activities, which is to become a local farmer for one day. Trekking routes across the karst plateau of Dong Van Town, situated in northeast Ha Giang Province, have become increasingly popular since being recognised as part of the Global Network of National Geoparks (GGN) in 2010.